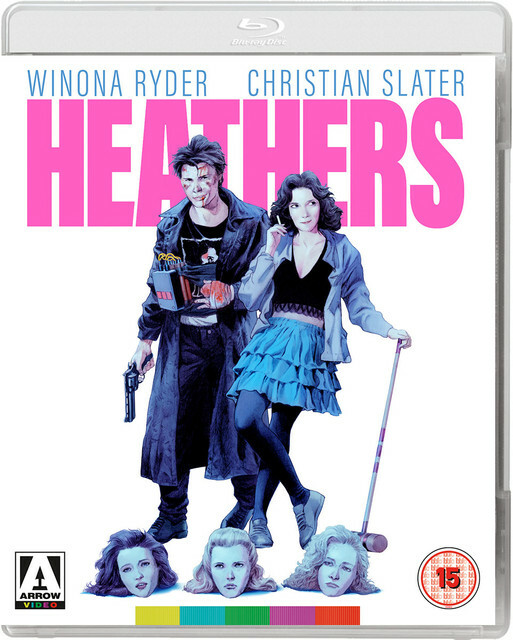 Directed by Michael Lehmann, Heathers pushed the teen comedy into dark and nightmarish territory and is distinguished by the career defining central performances of its stars Winona Ryder and Christian Slater. The film is presented here in an exclusive 30th Anniversary 4K restoration with a wealth of extra material, providing unprecedented insight into the making of this hilarious and shocking film. I'm surprised no one had reissued this sooner, it has such a devoted cult around it. That said, I'm not exactly a fan - I haven't seen it in a while but I thought it was self-conscious to a fault. It felt like the filmmakers believed what they were doing was very clever and patting themselves on the back for it, but the final result felt pretty smug and superficial. Since the August titles have already been announced, I’m guessing this might be September? I suspect this might be an Arrow Video rather than Arrow Academy title. him getting the job to direct this. This is one of my favorite movies and happy to see it get the Arrow treatment. I liked Heathers well enough but I loved Lehmann's follow up, Meet the Applegates, which unfortunately flopped. I doubt we'll ever see that on BD. I think we should all just be thankful that there is no way even a boutique label will release Hudson Hawk. I received this mysteriously early directly from Arrow. No more releasing early, it arrived two days after my shipping was announced. Not that I'm complaining. Sound and audio are very strong with this and far better than the hazy blu ray of the past (I have yet to see the film in any other format). The extra are all very thorough, particularly the interview with Daniel Waters which is predominantly Scott Alexander and Larry Karaszewski berating him and getting nostalgic about college days. Got this in the sale and it came without a booklet FYI. First time that's happened to me. Must be a quick seller. It is a fairly popular 80s cult film. I wasn't surprised when mine arrived without a booklet. Ah yes, trigger warnings - definitely on the same level as school shootings. I don't appreciate this solipsistic millennial view the world is only recently a terrible place and that it wasn't in 1989 or before. He really is the best, and I didn't know until now that this article is what he was referencing! Verily, as a wise man once said, "Everything Is Terrible!". "Less than 15 minutes into 1989’s dark comedy “Heathers,” a rebel teenager played by Christian Slater pulls out a gun and fires blanks at two homophobic jocks, a move that would get him arrested today. My roommates and I sat there with our jaws open: Was this supposed to be funny?" 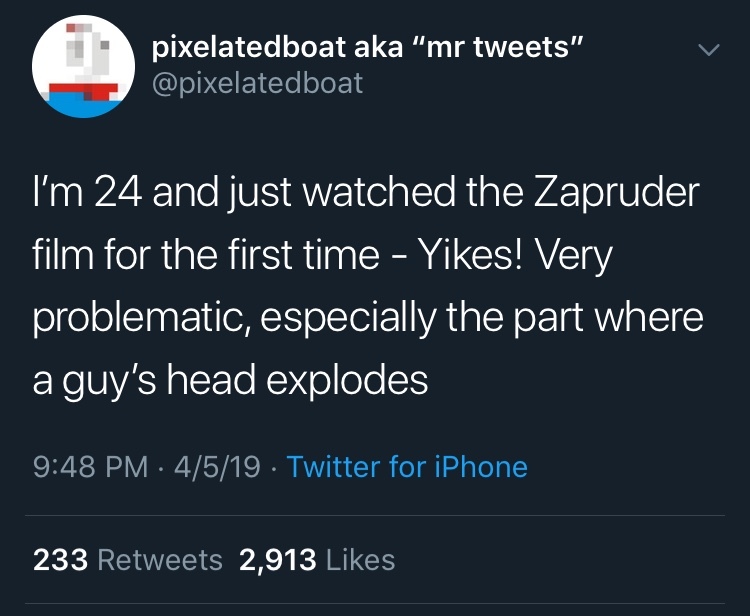 Joke aside, the issue at large is how people with seemlingly little skill at reviewing and analyzing movies but lots of will to discuss social topics are currently merging both in a very poor way. Heathers is not that funny at all. It's actually pretty mean, and violent, and crude, and just brutal at times. It's interesting to see both John Hughes' movies (duh) and 13 Reasons Why (obviously) being namedropped her since a lot could be told about those if one would want to question their quality. I'm seeing more and more of these pieces popping up, and I think it's just part of the freedom of expression people have gotten from the Internet, a freedom that mostly seems to be used to write pieces despite having no skills or enough knowledge to do so. But hey ! I can do it, why shouldn't I ? The issue inevitably becomes how a younger generation reacts to previous generations material. It's a poorly written article by someone expressing shock and it really shows. The difference here is that it's not poorly written enough and far too much effort has gone into it for it to be your typical shitpost. He's legitimately sincere here and that's precisely why it's so awful in my opinion. What I find interesting is his lack of perspective outside his own, in the sense that an entire world, with different concepts, ideas and beliefs could not have possibly existed before his. I don't think it's at all irresponsible to look back at past works and say "Wow that's not good." but you know, maybe attempt to understand it all in context? What is truly remarkable is that this article has been dunked by people from all walks of life online and that's how you know you've delivered something particularly bad. Hopefully Omar learns from this. I don't think it's at all irresponsible to look back at past works and say "Wow that's not good." but you know, maybe attempt to understand it all in context? Sincerity is nice but when it's seemingly so badly missing the point and misreading the movie (on top of having wrong expectations), it doesn't seem to do any good and doesn't seem much different from, say, the flack Starship Troopers from people who simply didn't get his irony. Going this route, even the most asinine stuff can be construed this way. Remember Peter Rabbit and its allergic joke ? As you write, it's a total lack of perspective outside his own, but also seemingly a willingness to read the movie for anything else than cinematographic material first. In this regard, it's not much different from many similar pieces I've read. Take this for instance : "What seemed absurd in 1989 feels entirely plausible after Columbine, Parkland, and too many other school atrocities to list." Heathers was released in the US 2 months after a Stockton, CA shooting that had 6 deaths and 32 wounded. 1988 had at least 7 school shooting, 1989 3. And I'm not sure the writer knows about the University of Texas tower shooting from 66, which had been deadlier than the shootings he's refering. I'm one who's very much willing to look at older material and think "wow, that's quite some poor writing trope", but most of the pieces I've read are usually looking at the discussed movies out of any cinematographic perspective. All these seems to turn into pure socio-political tracts, and not much else. It's not revising our views on these movies, but rather often, IMO, applying a pre-conceived grid on them, which has always been a poor way to analyse a movie (or a book, etc). It's quite telling than in this regard, the recently discussed writing tropes in Breakfast Club or how 13 Reasons Why's debatable capacity in qualitatively tackling suicide are not even mentioned. When it was released in 66, the movie stunned by its aesthetic and the work done on each shot. Now, what's stunning is this violence done to women. I couldn't phrase properly what my understanding about these pieces is, but I guess it could be summed up this way : I doubt their writers are good at analysing movies as a whole, while it should be an absolute pre-requisite for this kind of work, especially on such hot topics, and them being young or not so much don't seem to come that much into account (the Blow Up's piece writer is 51).